Contains: Water, Fatty Alcohol Ethoxylates, D-Limonene (Orange Oil), Ethanol, Methyl Methoxy Butanol, Lauryl/ Myristyl Dimethyl Benzyl Ammonium Chloride. 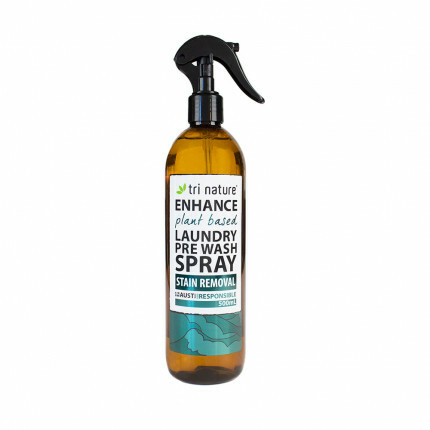 A modern, environmentally responsible replacement for traditional heavy solvent based pre-wash sprays. Active ingredients are absorbed into oily or organic stains to begin breaking them down before the wash begins. New generation, surfactant based formula suitable for use on all colourfast, washable fabrics. Fabric safe - Will not contribute to fading or shrinkage or affect the crease retention of permanent press or pleated fabrics. Concentrated formula delivers outstanding economy and reduces landfill potential. Grey Water and Septic Safe. This product is pre-diluted and ready to use. Also available as a concentrate - Click here. 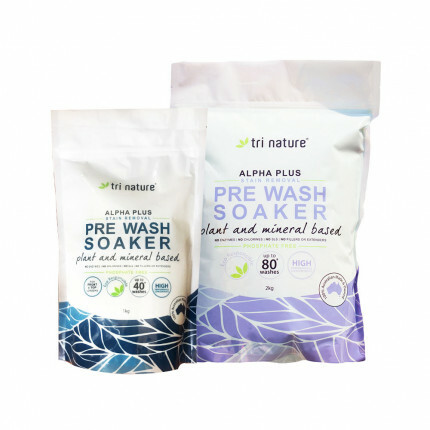 We recommend for best results to use with Alpha Plus Laundry Powder or Alpha Plus Laundry Liquid. Hot, Cold or Warm Water – What Should you Wash your Clothes in? Soaking 101 - When to Soak and for How Long? Please refer to the information sheet in the Downloads tab for more information. Want Remarkable Results with Eco Friendly Products? Watch this video where Leah talks all things Stain Removal. A gentle herbal enhanced pre-wash stain remover and soaker that removes difficult stains and contami..
A naturally-derived fabric conditioning concentrate that effectively softens, conditions, and deodor..